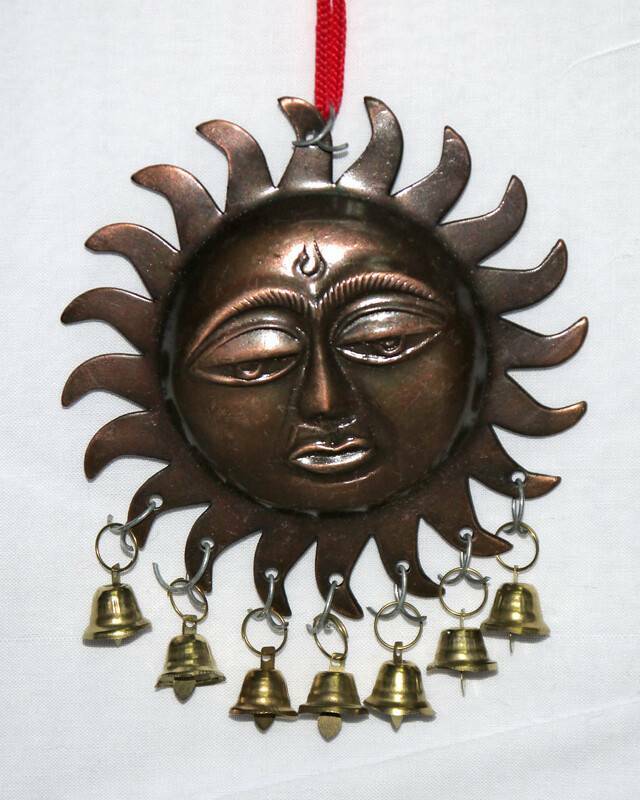 You can hang this dark metal Surya decoration on your wall or hang it from the ceiling to add a nice touch to your home. You can hang it outside so when it gets windy you can hear the bells. Question: How big is this and how many are their in one? It’s mentioned 3.